On 7th October the car booters were back!! The car booters are back after their summer recess! We had a very successful morning on Saturday 7th October. 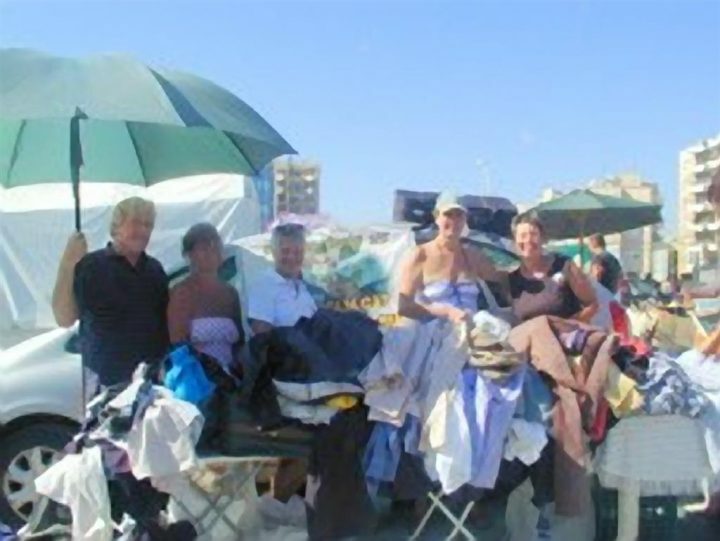 The usual crew – Tina Michael, Gill Callaway, Dave Shaw and Fay Taylor were joined by Caron Meadley (our UK Co-ordinator) who was on holiday in Cyprus for 2 weeks. As usual a very busy start, we had collected 100 pounds by ?8.30. We managed to move a lot of clothes and a huge amount of discounted junk and ended up with the very healthy sum of ?243.74. Thanks to all the helpers especially Tina, who works very hard sorting it all and storing a lot at her home, it’s hard work but good fun! !